$59.95 on front end allignments for most makes/models including cars, trucks, vans, suv's. Call Quicklane for details. Offer valid through 3/31/19. on a set of 4 Tires! When using your QuickLane credit card. 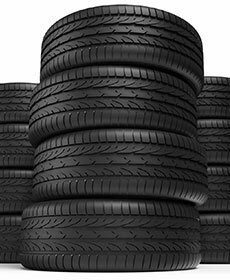 See one of our service advisors at the counter for the details as the rebate varies by brand of tire. Visit Sunbury Motors Quicklane, you'll get in and out fast! No appointment required. With this coupon, enjoy up to 5 quarts of oil, filter and disposal of old oil. Coupon not valid with Diesel vehicles or any other offer. Must present coupon at time of purchase. Limit one coupon per person. Coupon does not apply to prior purchases. Other Restrictions may apply. Valid through 3/31/19. Keep your vehicle in tip top shape by exchanging and maintaining vehicle fluids. When you come in for a flush/replacement of fluids, enjoy 10% savings with this coupon! Coupon not valid with any other offer. Must present coupon at time of purchase. Limit one coupon per person. Coupon does not apply to prior purchases. Other Restrictions may apply. Void where prohibited. Valid through 3/31/19. On most makes/models. Call Quicklane for setting up your appointment to take advantage of this great offer to purchase and have your windshield wipers mounted.